Shapes We Need, Kitchens We Don't was a temporary collaborative public sculpture and ecological activity workshop where participants turned common food storage and urban gardens into unique living wall systems. This project explored the production of sculptural experiences that encouraged the use of local materials in experimental living walls, for the purposes of harvesting and preparing food. Shapes We Need... provided basic skills to make any kitchen or space into a unique eco-friendly area where food could be stored and harvested directly from the walls we live between. 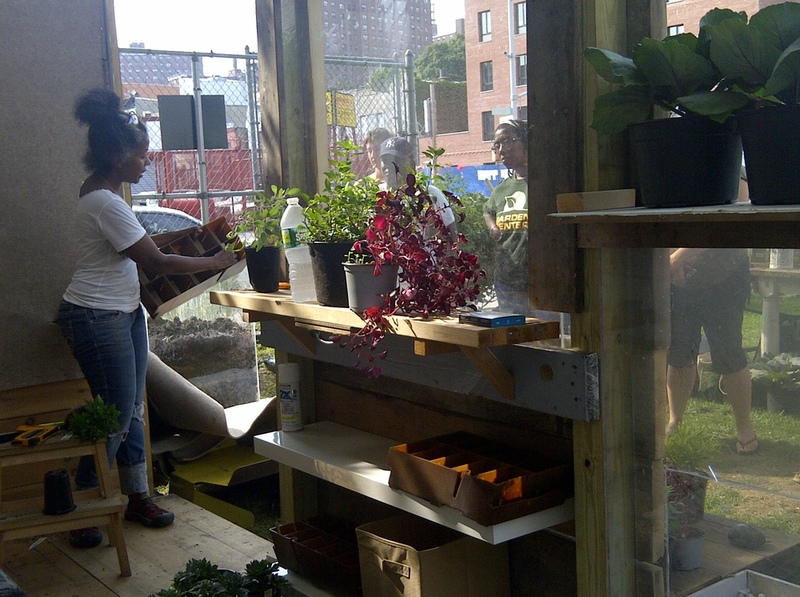 Workshop participants added materials, such as herbs, wood, and sand, to living wall systems placed in community gardens located in Bedford-Stuyvesant, in order to produce a vertical garden and shelving system for fruits and root vegetables. Following the completion of the interactive public sculptures, SSZ facilitated workshops specifically for the production of smaller gardens and practical storage options for smaller urban spaces. On Sunday July 28, 2013 Torkwase was on site at Clifton Place Memorial Garden, in Brooklyn, building a vertical garden. On August 31, 2013 there was a free workshop on vertical gardening and the inaugural planting in the completed structure at Clifton Place Memorial Gardens. Check the SSZ blog for a visual record of the building process! 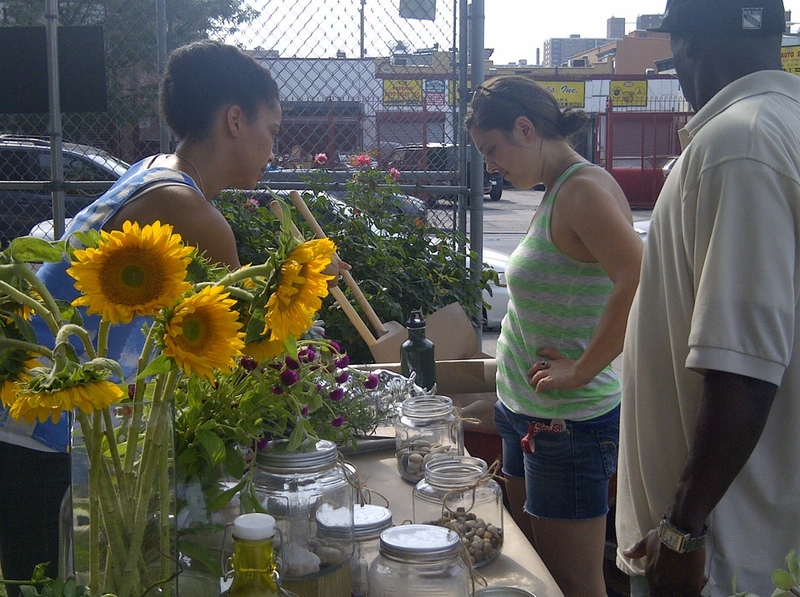 Torkwase Dyson & SSZ worked at the Surf Side Garden Multi-Cultural Coalition in Coney Island. Studio South Zero (SSZ) is an environmental art project that addresses renewable energy, design, architecture, and underutilized urban spaces. Torkwase Dyson is a multimedia artist working to merge ideas such as site and built environments, nature and culture under the rubric of ecology. Fascinated with transformations, ambiguities and environmental changes that place these subjects in relationship to each other, Dyson's work revolves around investigating our connections to imagination, materiality, geography and belonging.